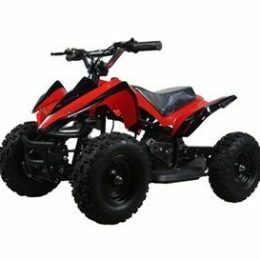 This Full Sized Sports Quad is Fully Automatic and tons of Fun. 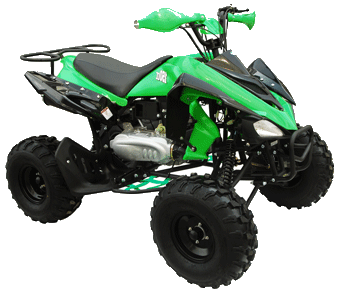 Large 20″ tire will send you straight through the mud and the 4 stroke 150cc Gas engine will Pull you out of that mud with no problems. 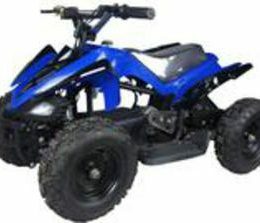 This 150cc Sport four wheeler is also good at running trails and great with open Field riding. 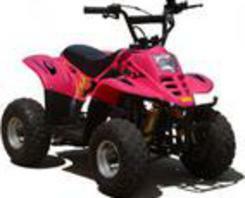 Nitro 150cc Sport Quad has dual front drum and rear hydraulic disk brakes and parking brake. 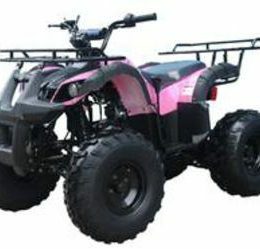 It is equipped with electric push button start, dual front adjustable compressed coil shocks and rear adjustable mono shock. 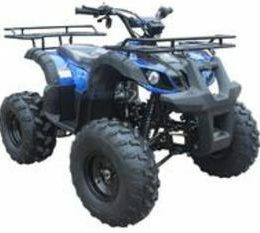 It also features high beam/low beam head lights and brake lights. 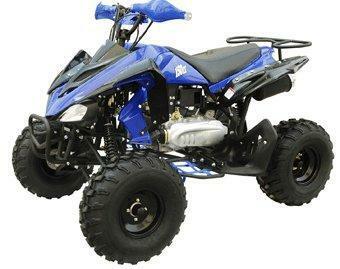 This Sports Quad has upgraded 20″ rubber knobby off-road tubeless tires and a standard 4 stroke, Fully automatic gas engine with reverse gear. 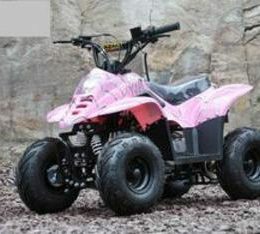 Keeping safety in mind, this machine has a throttle limiter to slow the ATVs speed down to around 5 MPH and can be adjusted to a top speed of around 45+ MPH.